In a stunning break with his boss, Ben Carson released a statement supportive of Roy Moore hours before Trump rallies for Luther Strange, his opponent. 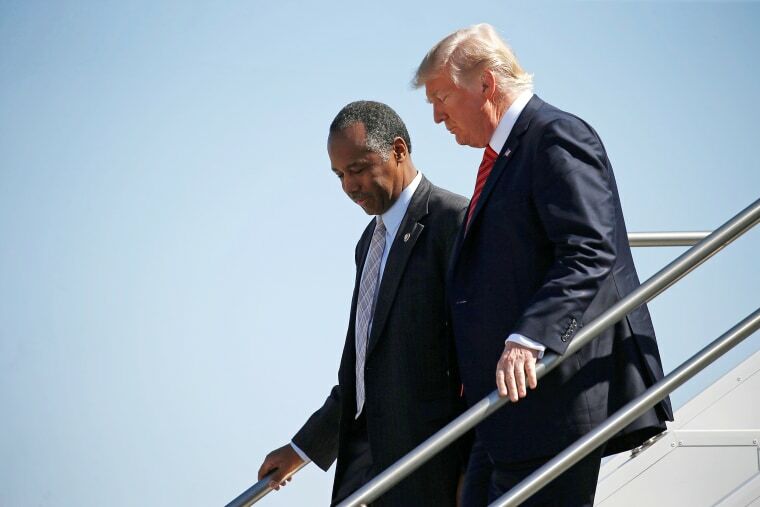 HUNTSVILLE, Ala. — In a stunning break with his boss, Housing Secretary Ben Carson released a statement on Friday supportive of an Alabama Senate candidate just hours before President Donald Trump is scheduled to lead a rally here for the candidate's opponent. As supporters lined up for Trump’s rally on behalf of Sen. Luther Strange, R-Ala., the campaign of challenger Roy Moore released a statement from Carson praising the insurgent candidate ahead of Tuesday's special GOP runoff election. "Judge Moore is a fine man of proven character and integrity, who I have come to respect over the years," Carson said in a statement on the race to fill the seat vacated by Attorney General Jeff Sessions. "I was delighted to hear he is running for the US Senate," Carson continued. "He is truly someone who reflects the Judeo-Christian values that were so important to the establishment of our country. It is these values that we must return to in order to make America great again. I wish him well and hope everyone will make sure they vote on Tuesday." Carson stopped just short of endorsing Moore, possibly because the federal Hatch Act bars Cabinet secretaries from political activity. Strange, who is trailing in the polls, has made Trump’s support the central theme of the closing stage of his campaign, invoking it repeatedly in Thursday night’s debate. The president remains extremely popular in conservative Alabama and both candidates have positioned themselves as his true heir. But many of Trump’s most prominent supporters, including several former White House aides and now one of his Cabinet members, favor Moore and his anti-establishment message.